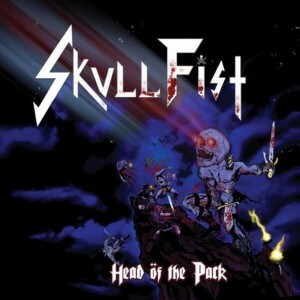 Some heavy metal bands find their niche in technically sound albums made up of fluid guitar riffs and well timed drum beats, other bands prefer to shred away and feel the essence of metal course through their veins as they bring everything they have into their music; this is what Skull Fist is about with their heavy metal album Head Of The Pack. This reminiscent taste of traditional heavy metal is headed by frontman and guitarist Jackie Slaughter, Casey Slade on bass, Jonny Nesta on lead guitar and (then drummer) Alison Thunderland, awesome sounding guys right? From what I see these guys have got the long hair, the attitude, metal spirit, the vodka and probably every Iron Maiden album ever. What more do you need to compose a great metal album? a face-melting rush of a good time. There are a total of 11 tracks on this album and none of them fail to keep the fast pace and raw sound going and going. If you thought you’d get a chance to breathe while listening to this album then I suggest you also invest in a respirator to go with the album. When I say the album is a great testament to the meaning of metal I couldn’t see it anywhere else more than I could in 2 oustanding tracks ‘Commit To Rock’ and ‘Ride On’. While all the other tracks such as ‘No False Metal’ and ‘Commanding The Night’ hold the band’s characteristic quick tempo and aggressive style ‘Commit To Rock’ and ‘Ride On’ allow you to see the more serious side of the band. If you wanted a visual description think of ‘Ride On’ as a composition of harmonic riffs, epic vocals, electricity all round worthy of an epic 80’s training montage. If there was a way to make the album EVEN BETTER its in the mixing. Bring Jackie’s vocals forward a little more and you’ll REALLY hear (as he calls it) the lion in his heart. 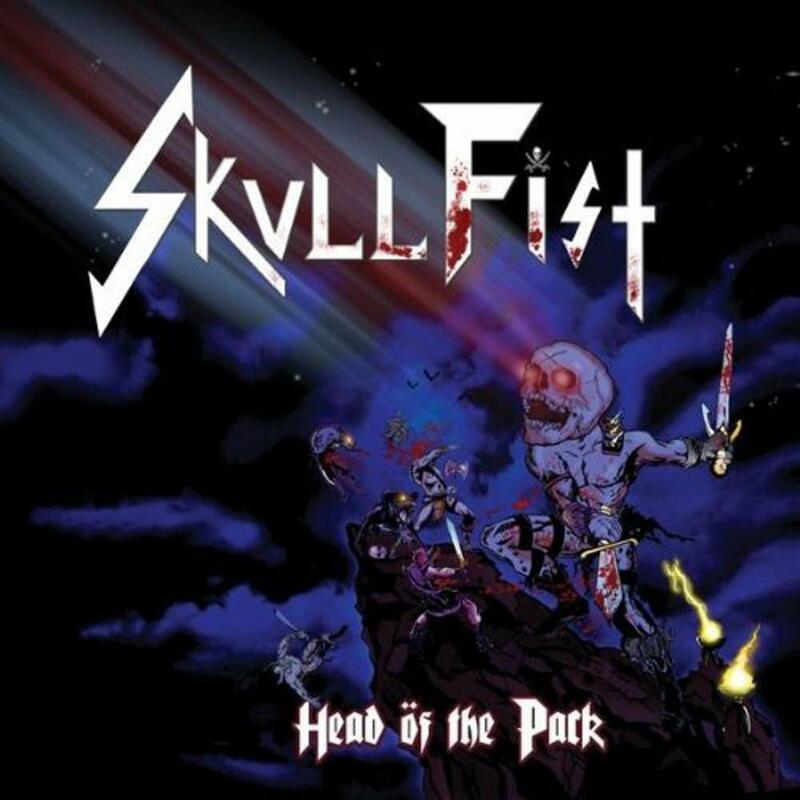 Like I said a whole 3 paragraphs ago, I’ll keep it short and sweet this band, this album has IT and is a good listen for lovers of all sub genres of metal no matter glam, power or thrash you can respect what Skull Fist are doing for this genre.